This blog post was written by Caroline Mukisa. She runs the Maths Insider blog and is also a Thinkster Math coach. As a former Kumon instructor who now works as an instructor with Thinkster Math, I’m writing this post to give a unique perspective as someone who has worked for both Thinkster and Kumon. At Thinkster Math I look after many, many ex-Kumon students including a family with 4 kids who switched from Kumon so that their children could explore the wider curriculum that Thinkster offers. So whether your kids are currently doing Kumon, another math program or you’re just starting to look into math programs to support your child’s math, let me share with you the 8 things to love about Thinkster. Thinkster pricing compares brilliantly to Kumon, Mathnasium and personal tutors. And don’t forget there’s also the cost of your time as the parent who has to take your child to the tutor/learning center each week! To view the different programs available for your child, click here. Thinkster actually uses qualified educators. I’m a Cambridge University educated qualified high school math teacher and many Thinkster coaches have spent many years as teachers. Kumon prioritises business experience over teaching experience when it comes to choosing franchisees to run their centers. Thinkster focuses on math teaching experience and ability. 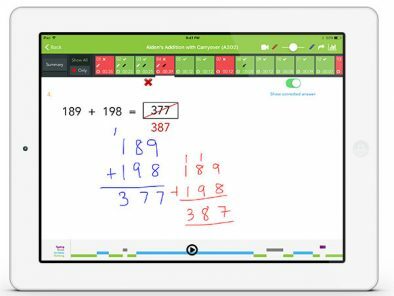 The Thinkster Math program contains built-in instruction videos for each topic – not just a few written examples. Step by step solutions are also shared when students get questions wrong. Students have regular 1-on-1 tutoring sessions so that their coach can review questions they got wrong with them and introduce any tricky concepts in the upcoming worksheets. Thinkster is a US based company with instructors around the world but our work is overseen by senior staff who we meet with regularly online and are available to help instructors, parents and students alike. Also, Academic Coordinators take care to match new Thinkster families with instructors based on their specific needs. In the rare cases where parents want to change instructors, they can do so quickly and easily. Most students join Thinkster with weak problem solving skills, even if they are strong at math in general. Problem solving is so important when it comes to math. Computers are able to process numbers far more quickly and more accurately than humans can, and those who have strong problem solving skills will be the ones in demand in the workplace. Thinkster puts problem solving at the core of it’s curriculum, including basic problem solving even in it’s Kindergarten worksheets. Thinkster worksheets use the math methods and techniques which have been proven to lead to a deeper understanding of math. 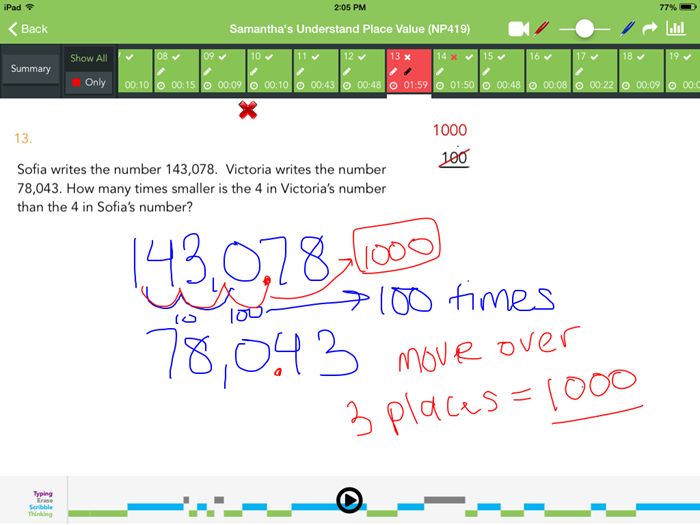 With 1000’s of worksheets available, coaches able to build a personalized study plan to support and extend the student’s school math learning. If you put a Kumon student head to head with a Thinkster student and give them 100 arithmetic questions – the Kumon student will win (the Thinkster student will still be ahead of the rest of the class, though). However – if you give a Kumon student a series of logic or problem-solving questions – the Thinkster student will come out on top. Is Thinkster a Real Alternative to Kumon? A Thinkster Math coach and a former Kumon instructor - Caroline Mukisa, who also runs the maths insider blog, tells us what she loves about Thinkster Math. Previous ArticleCan Rewards Really Motivate Your Child to Practice When they Need Math Help?